According to many law dictionaries, felony is a crime or offense that imposes a minimum penalty of one year, plus payment of fine and/or other penalties. Apparently, this is not a simple offense that you can easily get away with since felonies are most serious crimes. In 2006 alone, the Bureau of Justice Statistics reported that there are 58,100 defendants charged with a felony offense. Within a year, 68 percent were convicted. You heard this so many times in TV shows and movies, and as funny as it sounds, this is your constitutional right. You have the right to be silent and refuse to incriminate yourself in a felony charge. When you refuse to answer, make sure you do this politely and no need to act hostile. Arguing with the police officers surely won’t help your case either. Know what you are being charged of. For someone who is not that familiar with the law, all the terms and concepts you are being told can be overwhelming. Nonetheless, it is important that you ask the reason why you were arrested and detained. Remember that felony is a serious charge. If convicted, you could lose or be denied of certain rights. Go ahead and ask, but make sure you ask nicely. Apart from your right to remain silent, you also have a constitutional right to be represented by an attorney who can help you in your case. Keep in mind that the prosecutor knows all the technicalities of law, which you don’t know. That is why hiring a felony defense attorney at the start of the case is imperative. It evens the playing field and at the same time, make you more aware of your rights and the proper procedure in dealing with your case. Your lawyer could also help you come up with the right strategies to make the situation more favorable to you. Posting bail is a no-no, for now. When you are charged, the first thing you will do is to call a loved one and ask him to post bail. Apparently, this is not recommended, especially if you are being charged of a felony. This is why contacting a lawyer at the onset is the first thing you need to because your lawyer can review the facts of the case to determine the need for bail. Arraignment is also part of the procedure wherein the charge will be read to you and a date of preliminary hearing is set among others. At this stage, there is a possibility that the felony charge will be dropped, which means posting bail is no longer required. If bail was paid at the start, there is a chance that the amount posted won’t be returned to you. Talk and be honest with your attorney. Do you need help with your case? Then make sure you are completely honest with your lawyer. Provide a detailed and honest account of what happened and spare no details. 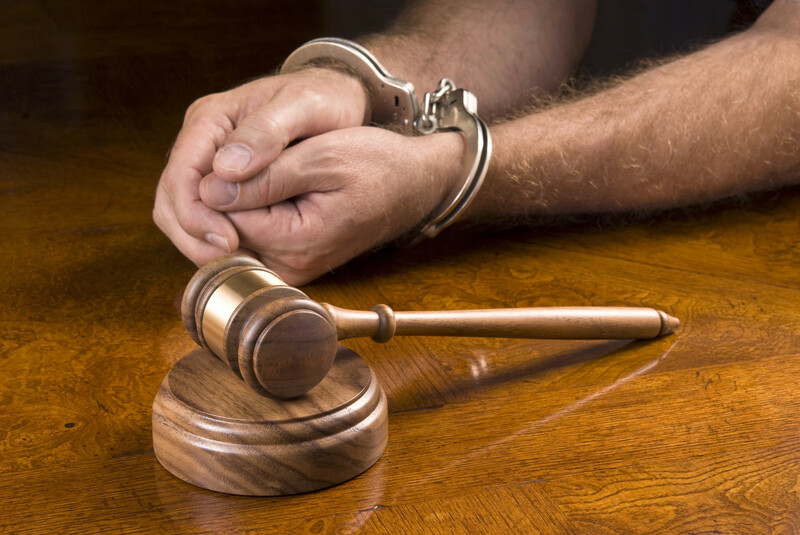 Your lawyer needs to know everything that transpired prior to your arrest. If it helps, write down everything you can remember, including the place and the people you are with. Don’t forget to make a list of all the possible witnesses that could testify on your behalf, including people who could prove your good moral character. By keeping him informed, he can properly prepare for your case and establish defenses to make the court rule in your favor. Don’t worry. There is privileged communication between lawyer and client, so your secret is safe with him. If it were a misdemeanor case, you can elect your lawyer to attend all court proceedings on your behalf. Apparently, this is a felony charge, which means you need to attend all court proceedings – from arraignment, to entering of plea, to preliminary hearing, to trial, and up to judgment. As a defendant, you need to know what is happening to your case and attending court proceedings will keep you informed of that. Preliminary hearing, wherein the burden is on the State to prove that the felony probably occurred and you probably committed it. If successful, the Circuit Court will conduct another arraignment wherein the charge against you will be read, entering of plea whether guilty or not guilty, the Court will consider the setting of bond, and the setting of date for pre-trial conference. Jury trial, which will determine whether or not you are guilty. If guilty, you will either go to jail or be placed on probation. At this time, you can freely appeal your case to reverse your conviction. Keep in mind that in felony charges, every element of the crime charged against you must be proven beyond reasonable doubt. Present everything you can and work closely with your lawyer to make sure that the court will rule in your favor.